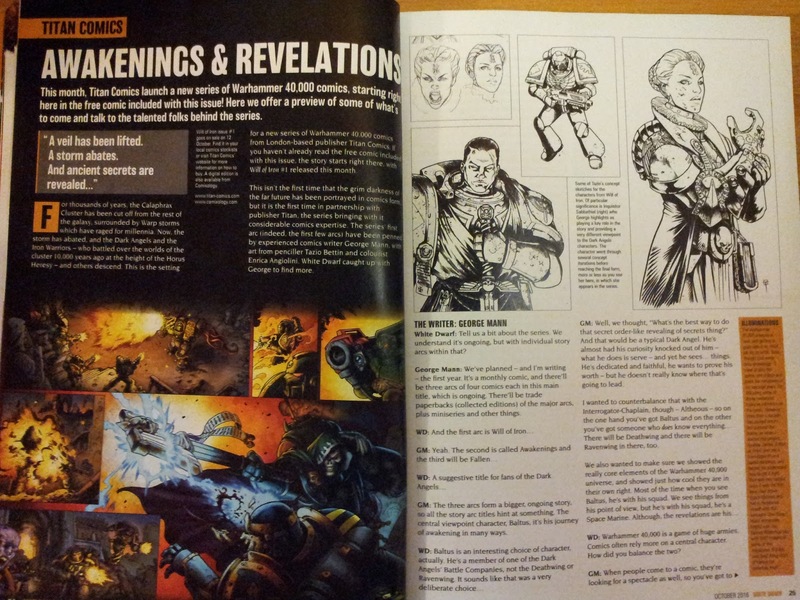 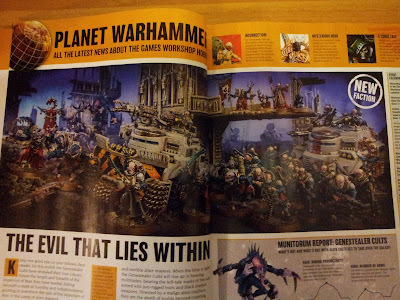 Here we go with the review of the second issue of the new monthly magazine from Games Workshop! 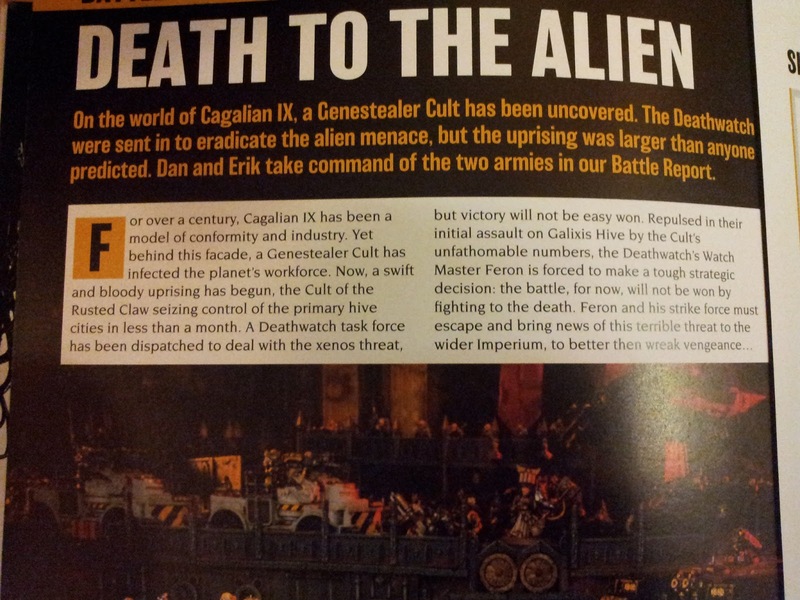 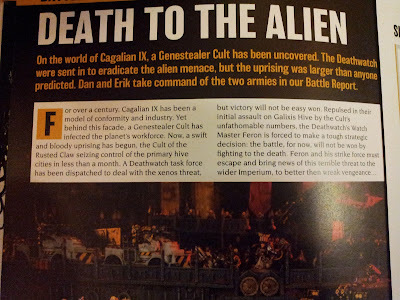 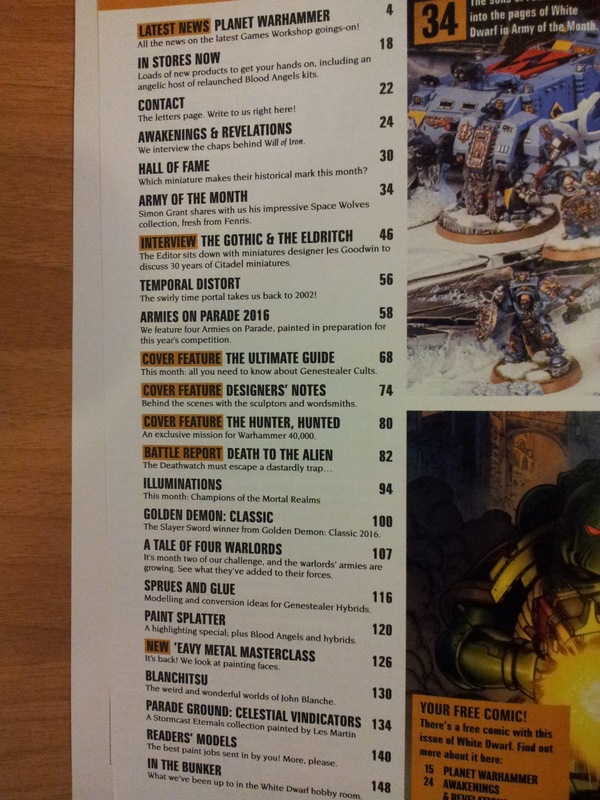 This time a bit late 'cause of my job but 'ere we are and, Genestealer Cults lovers and fan brace yourself... you've got a LOT of stuff for you this issue! 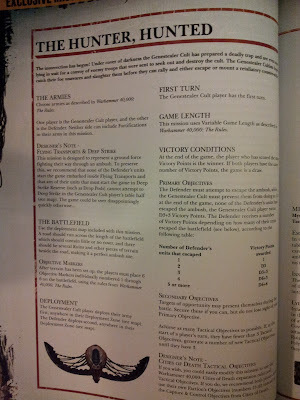 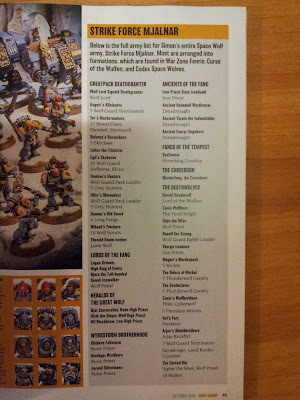 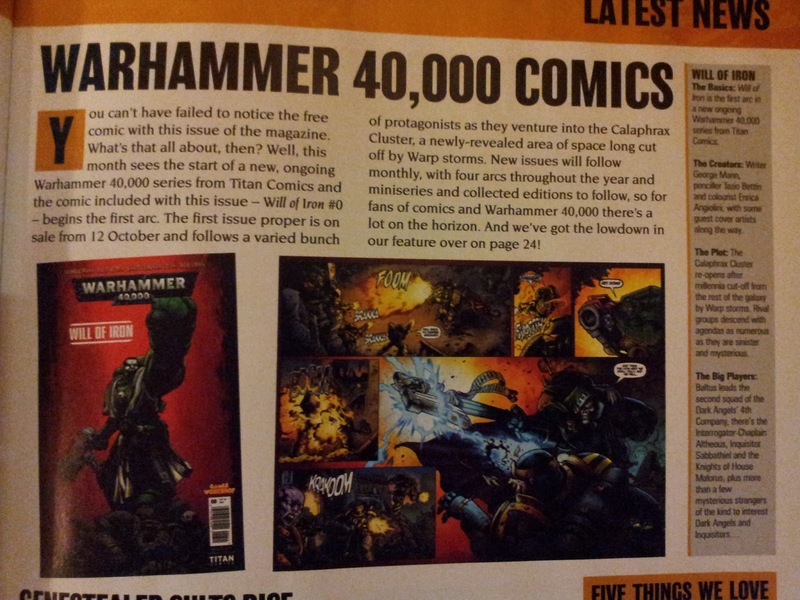 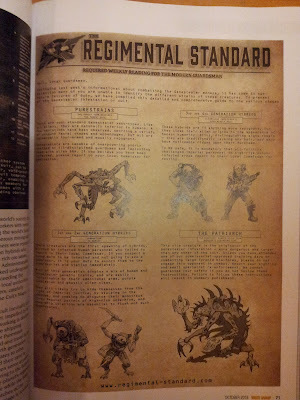 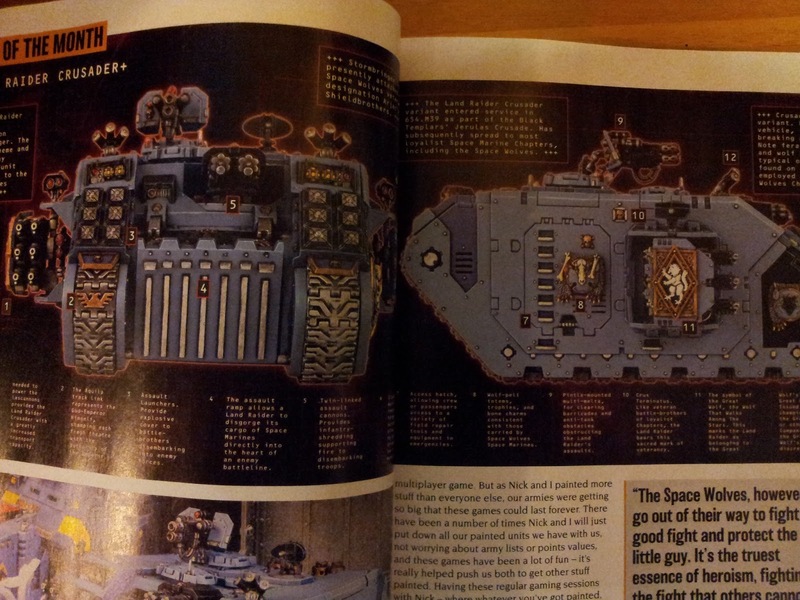 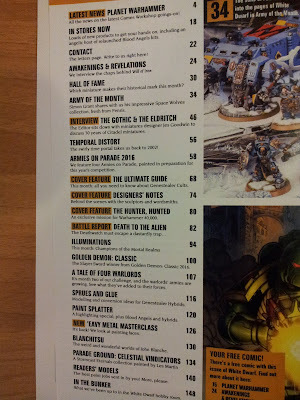 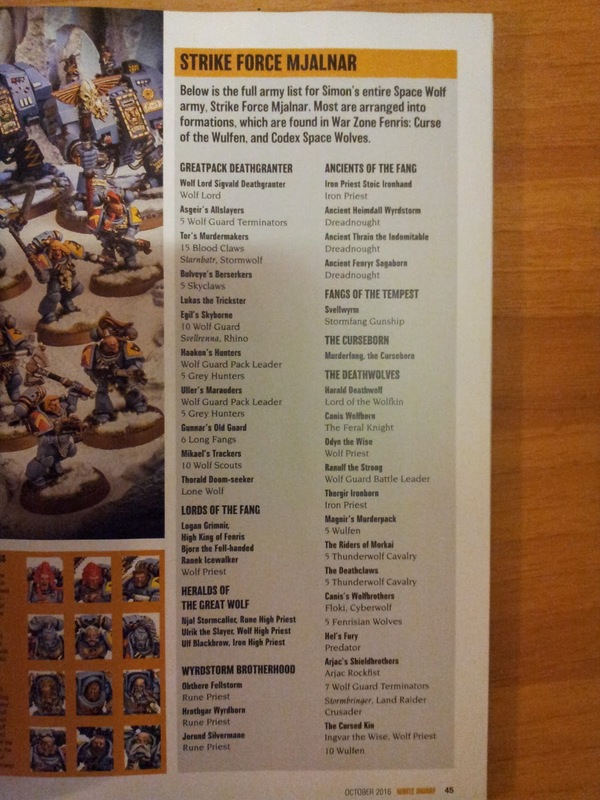 In the content table you may easily see how many 40k features the October issue has... good for me and for all of you who are keen on Nids and Genestealer Cults, you can literally bone up with them! 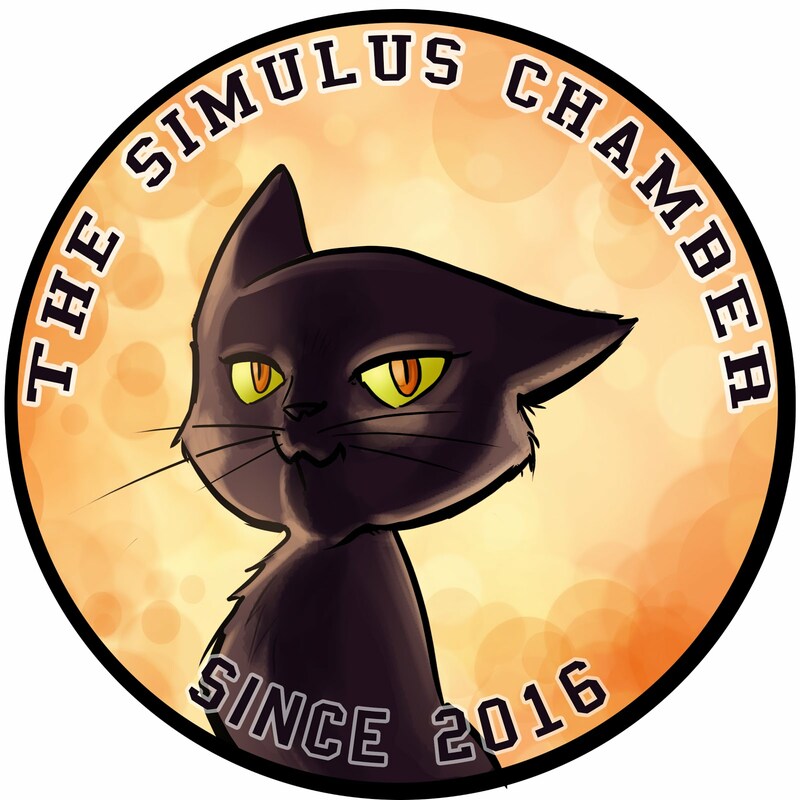 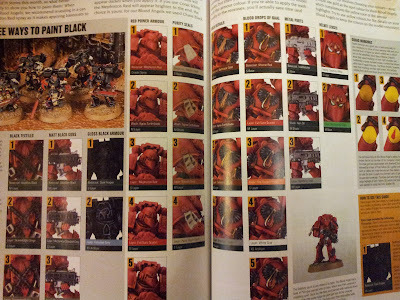 The presentation of the new stuff from the shop is almost all about Cults, as well as some Blood Angels bundles, talking 'bout miniatures... (save for one, we'll see later!) 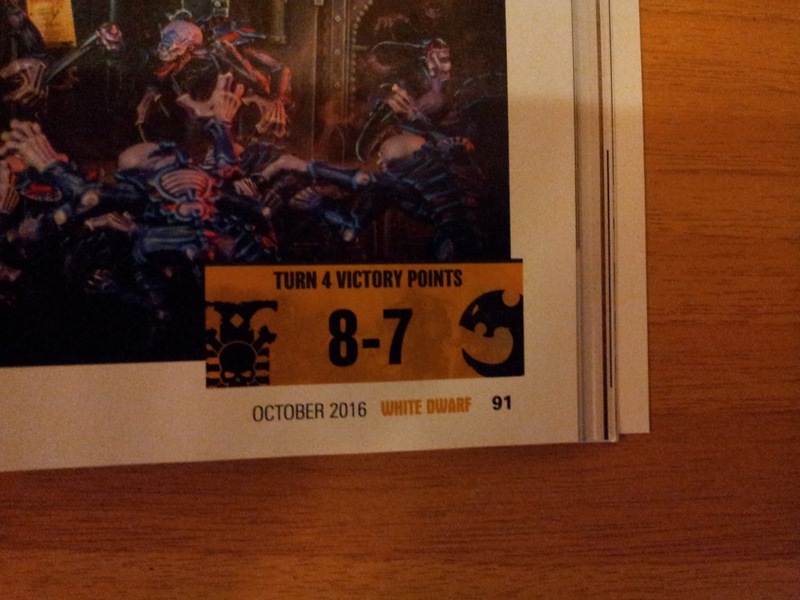 interesting fact: we have tactical cards for the new Cults, so we can say that playing cards won't go away in the next future, since we had a lot of rumors saying otherwise during the last months. Oh yes... Stormcast Eternals have faces. 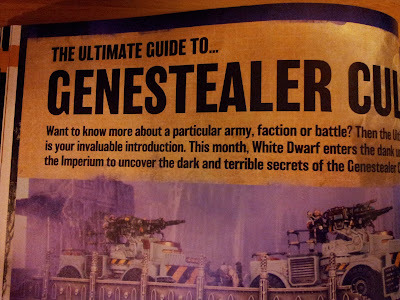 Fact. 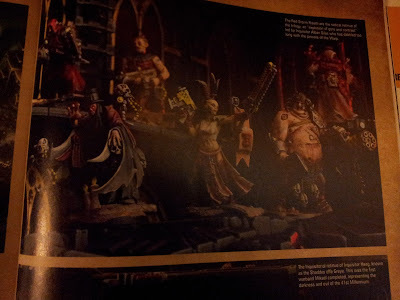 This is the first mini without a helmet for the Sigmar big boys. Ok, most of us greedy background' readers know already SE got faces but now all the rest of the world will know! 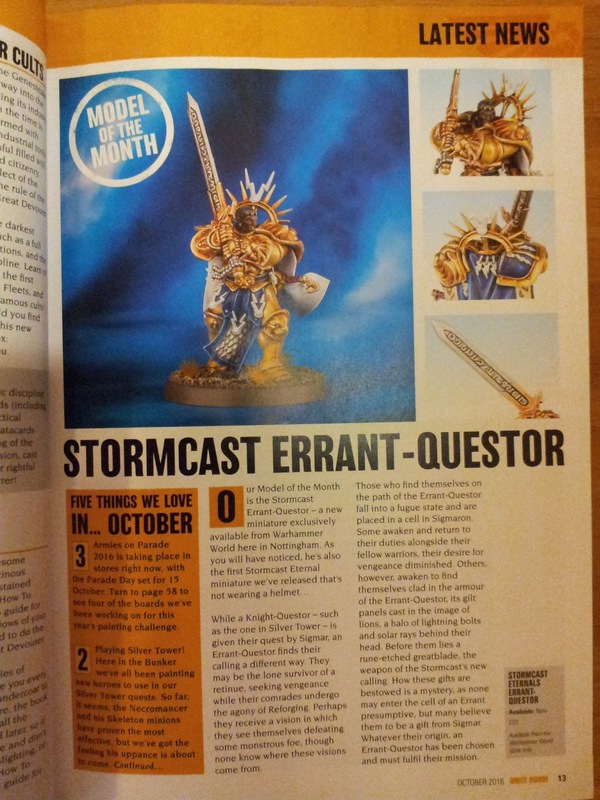 The Errant-Questor shown here, but available only from Warhammer World in Nottingham, seems to be a beautiful model, with a beautiful potential both in story and in painting... maybe next time I go to Nottingham I'll add him to my new SE project... maybe soon! 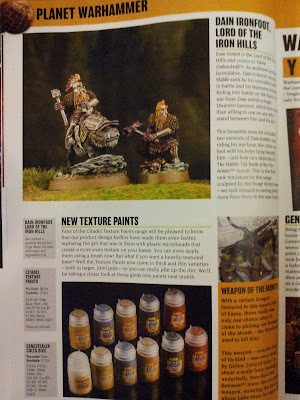 Two other releases are Dain Ironfoot for LOTR and The Hobbit range (wow... about time for new minis from the Middle Earth!) 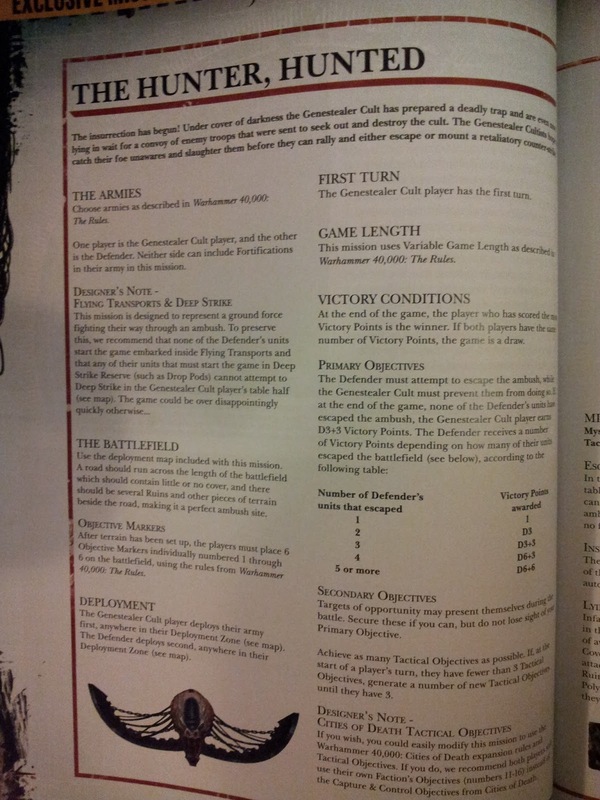 and a full new range (with some new entries and a different and much more handy format) of textures. 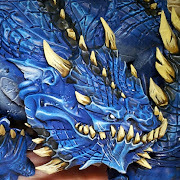 Free gift included (again)! 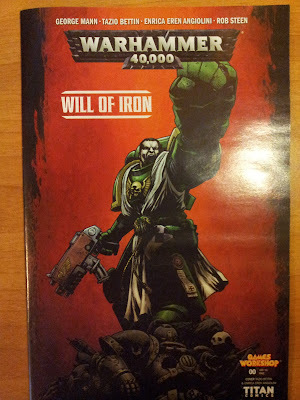 Sadly it is not a Lord-Castellant but a very good-looking comic! The story told is set in the 40k universe and... can't say too much, get your copy and have some good time! 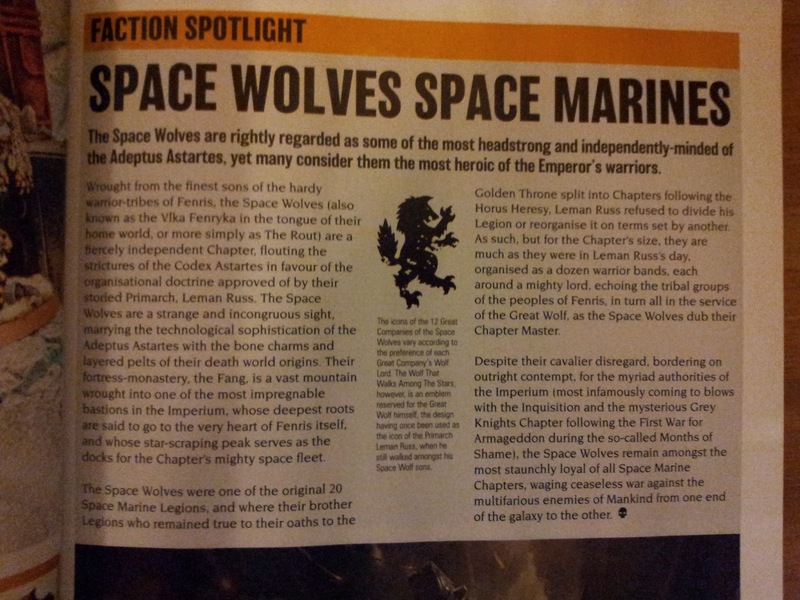 Wolves got their turn in the Army of the Month and they are sooo many! 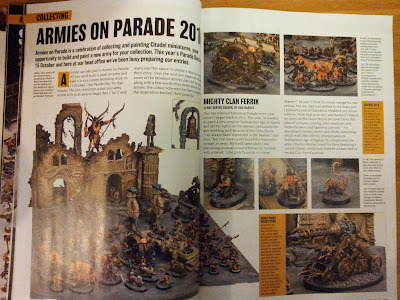 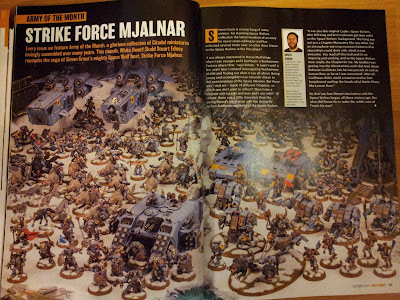 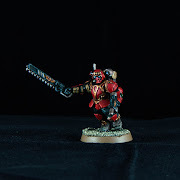 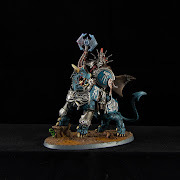 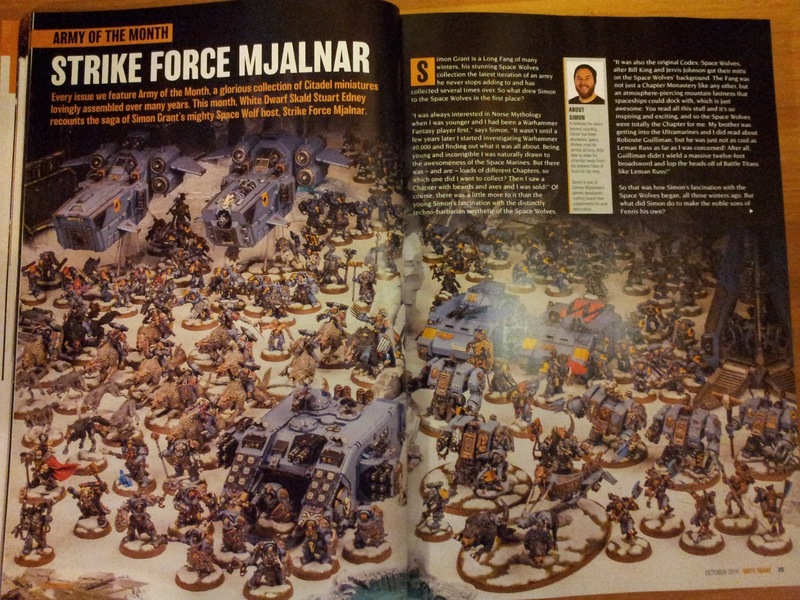 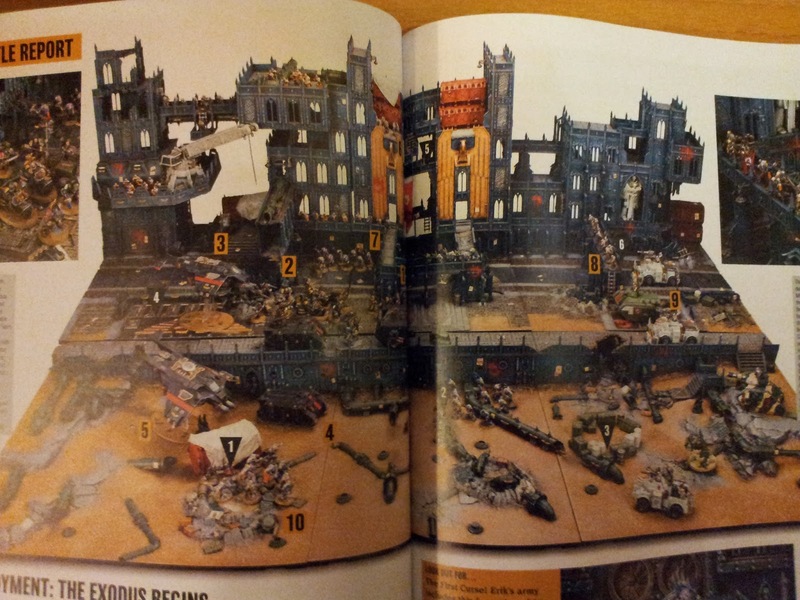 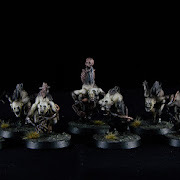 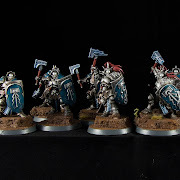 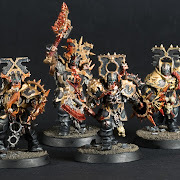 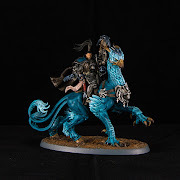 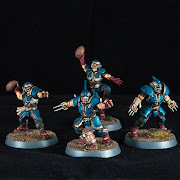 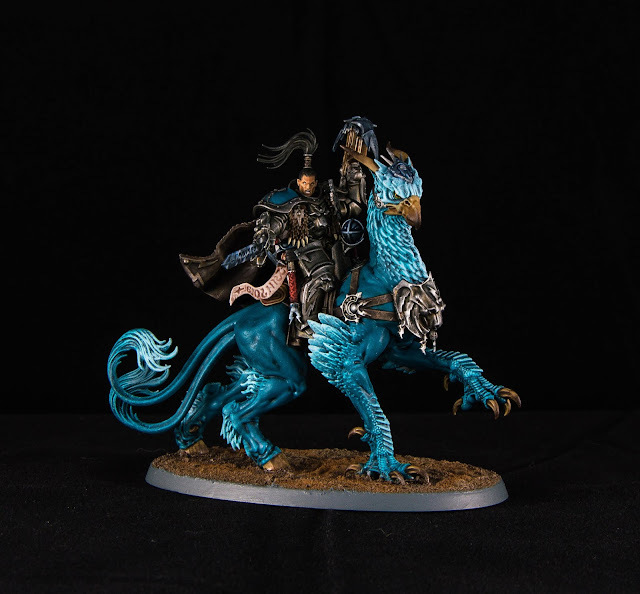 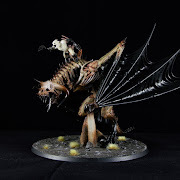 Of course you get a lot of background and insights of both the chapter and his rappresentation from the hobbyist who painted them, as well as an interview. 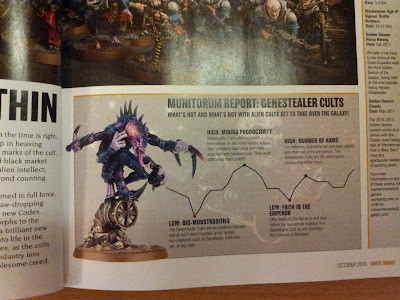 Battle report, as we seen in the september hints, is between Death Watch and Genestealer Cults... a very classical battle set on a very detailed table and mission! 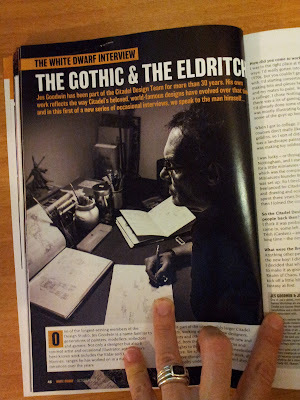 One of the issue's highlight, at least for me, is the interview with a Giant... Jes Goodwin. 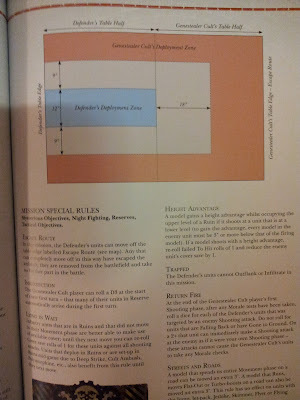 A man that designed many of the models we are playing and we have played. 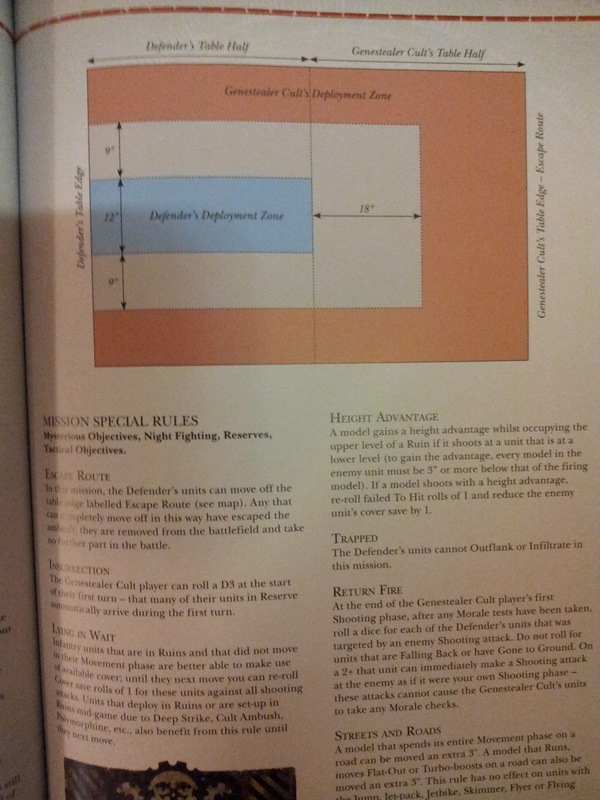 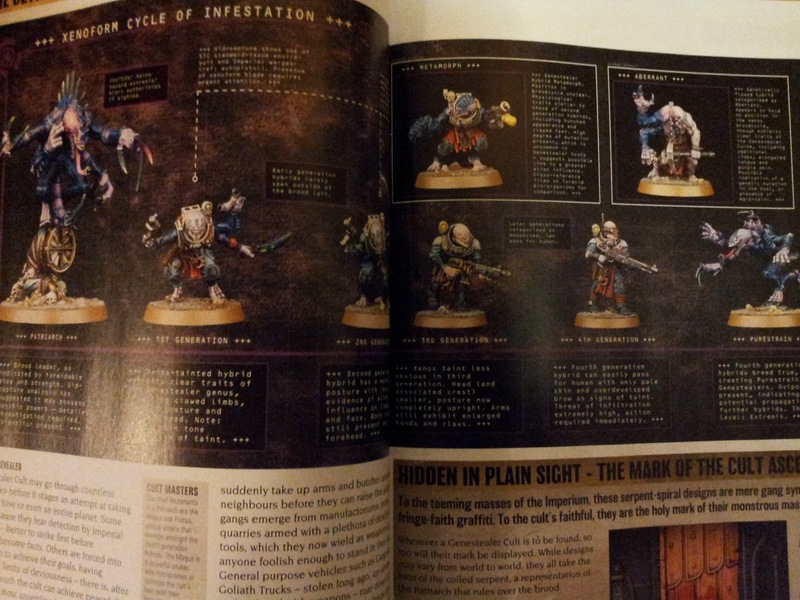 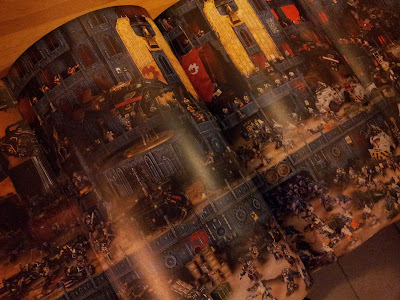 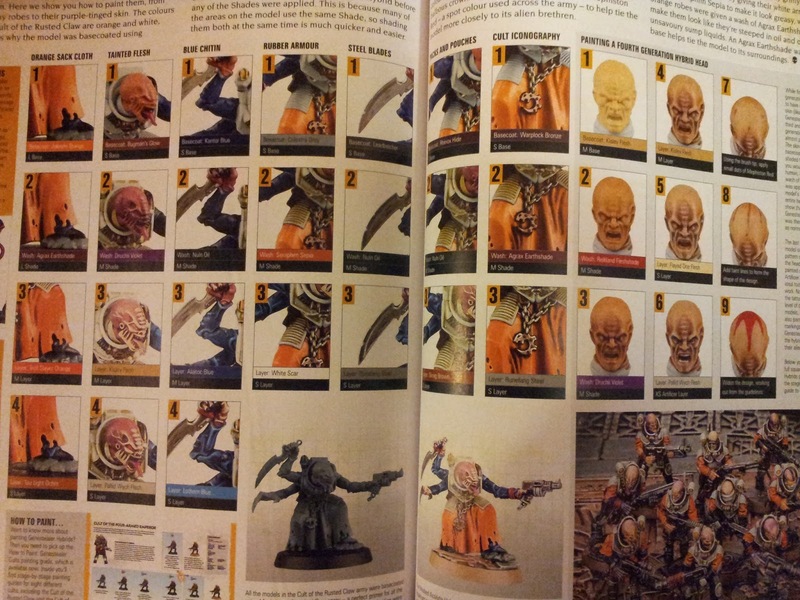 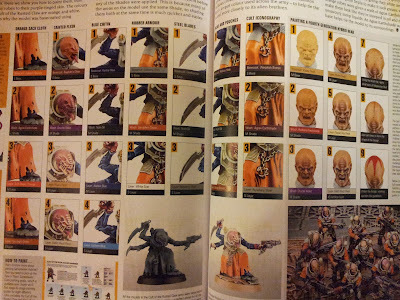 Last pages of the issue look more like a Painting Guide! 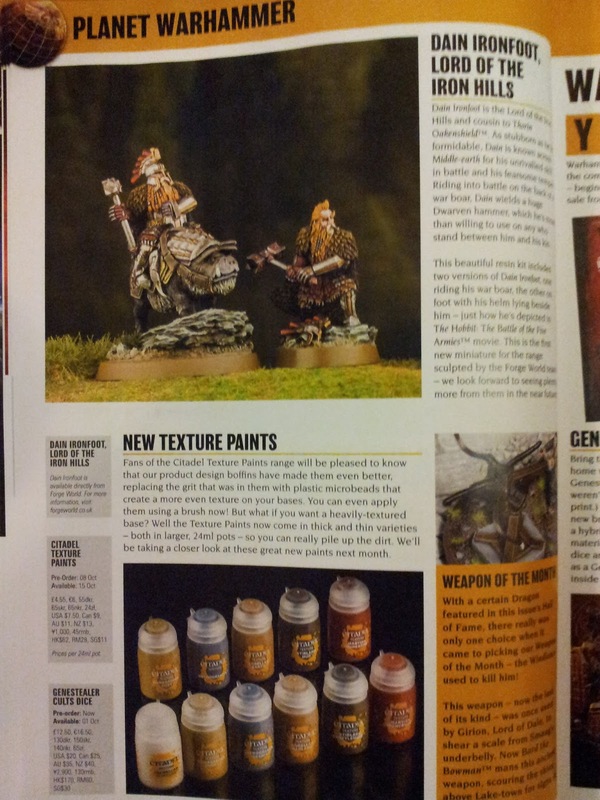 Many splatters for the painters! ...and the Blanchitsu is unbelievable. 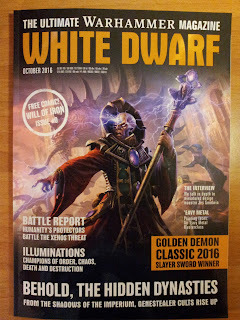 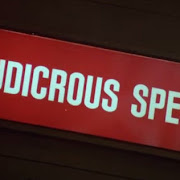 Conclusions: a very solid issue. 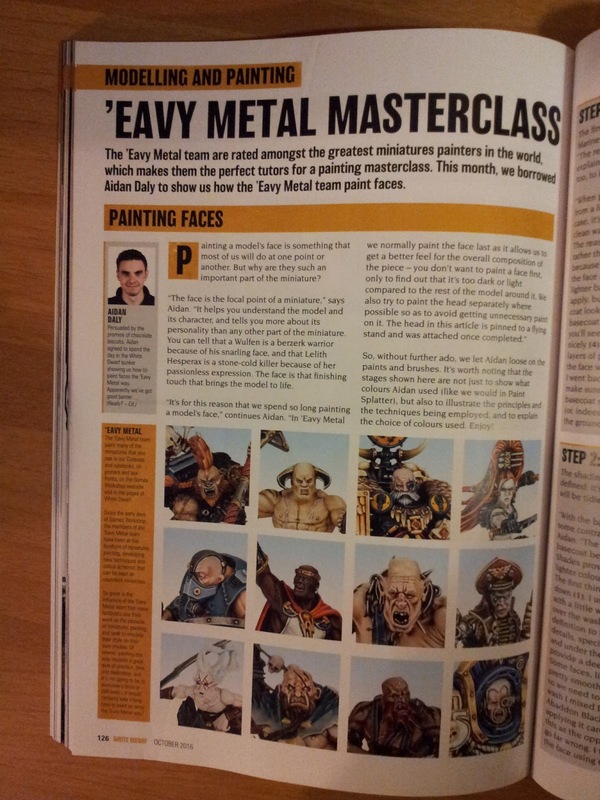 The highlights are without any doubts the large background sections for the GC as well some very important interviews and (the model masterclass one) painting guides. These two things alone make the issue worth buying, so everything else is a big fat bonus! 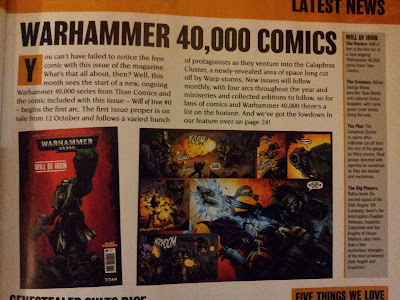 If I can move some criticism I'd have featured more AoS stuff: don't get me wrong, I'm a true lover of 40k but, although there is no comparison yet between the two games for the amount of bg stuff, in this issue AoS has the tiniest slice; and since the game is growing very fast now, after the Rulebook release, I think it needs more attention.